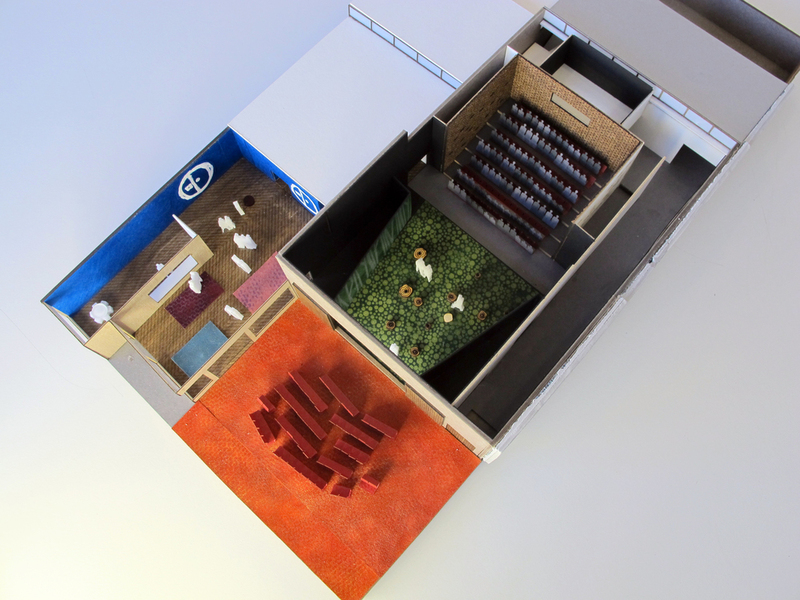 This concept design for a small yet renowned theater in Omaha, Nebraska, sought to capture the informal and quirky character of the organization and its current make-shift theater space. The organization has outgrown its 50-seat capacity room but wished to maintain its intimate setting, as well as expand on its culture of community gathering for its events. The new concept features a large opening in the back of the stage wall to expand the playable depth of the stage, or to offer indoor/outdoor performance options. An outdoor court (dubbed a "porchyard" = porch + courtyard) gave more space for performance and/or audience, as well as the opportunity for outdoor space for gathering or related events. 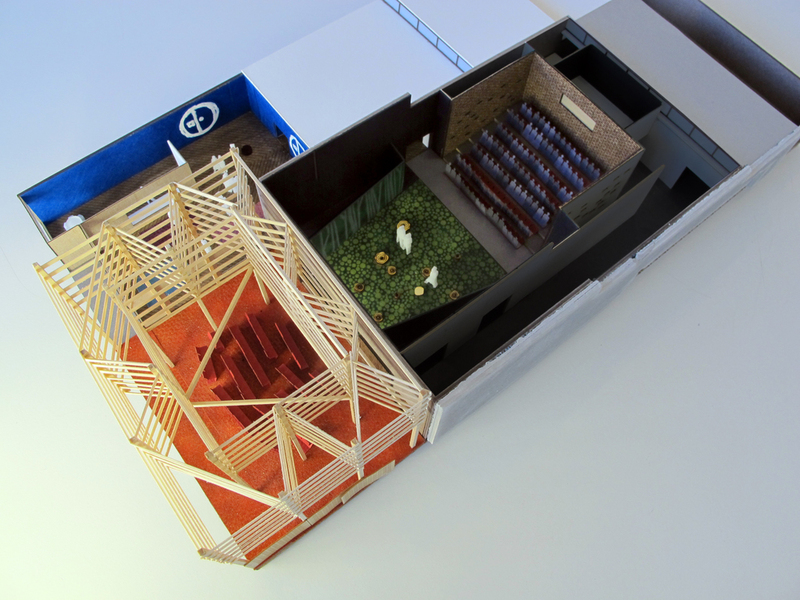 A tall wood pavilion conceived to be made of found materials would be a beacon on the corner to mark the theater's new location.